Microfiber is one of the most innovative materials in fabric technology. These small fibers – only one-fifth the size of human hair – are fine enough to be able to get inside the tiniest nooks and crannies of different surfaces that regular cotton, polyester, and other fiber materials cannot. They are also designed to be highly absorbent and can attract dust more easily, thus making them the best and most effective materials to clean wet or dry spills on a variety of surfaces. They are also designed to dry quickly and withstand multiple washings so they can be reused as frequently as possible. Microfiber is also known to remove most microbes, making microfiber fabric perfect for use in delicate medical environments. That is why we have made use of this multipurpose material in our products with our microfiber towels. 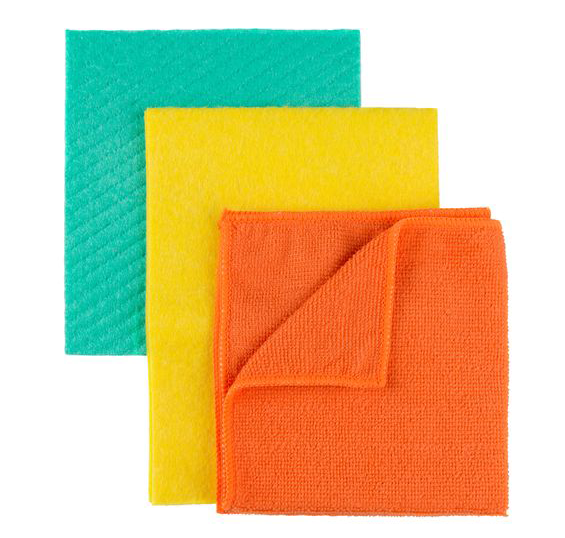 Microfiber and its array of benefits make it the perfect kind of material for surface cleaning and personal towel use. Microfiber towels are comfortable, smooth, and heavy-duty, allowing you more use to each piece in your inventory. With the same high standards and meticulous attention to detail that we employ with every product we offer, Medico’s line of microfiber towels and cleaners are handpicked to bear the highest standards in quality and durability, making them perfect for use in medical facilities. And in the same manner and quality we employ in cleaning and treating all our other products, we process these microfiber products with the same standard of quality that is not only among the best in the country but is completely compliant with the highest standards in the industry. Get Your Microfiber Products from Medico Professional Linen Service Today! Medico has been serving and satisfying the medical linen needs of businesses in the greater Los Angeles area since 1932. Get your business on board today and experience the difference only an expert like Medico can make for your medical linen service needs! Call us today at 213-749-4433 or click here for a free consultation!